Oh, and if you do read the interview, you’ll notice I had “planned” on releasing the second Mason book by now. I had conducted this interview months ago–long before winter, or fall for that matter–and my plans have changed. Much to the chagrin of my readers, I’m holding off for a bit. Let’s just say I’m working on something that could provide some exciting news. I hope you will sign up for my newsletter (or follow me on Twitter and Facebook) to get the scoop if/when it happens. But…until that happens, I’m thrilled to see reviews that readers are enjoying my writer’s voice in addition to my focus on describing some of my favorite locations in my beloved Bay Area and Monterey/Carmel. It’s delightful how Christina called Hard as Mason a travel guide to these beautiful areas. I was chatting with my mom today and told her about the travel guide reference. She suggested I continue using some of my favorite places in my future books. “Cin, we love Yosemite and Hawaii. Why don’t you use those settings?” Yes, mom was excited. Hmm.Yosemite Valley and Kauai come to mind. Perhaps Mason and Laura will take a drive out to the end of the Kuhio Highway on Kauai where they can walk out to Ke’e beach. They’ll enjoy views of the rugged Na Pali coast as they sip champagne and watch the sun set. 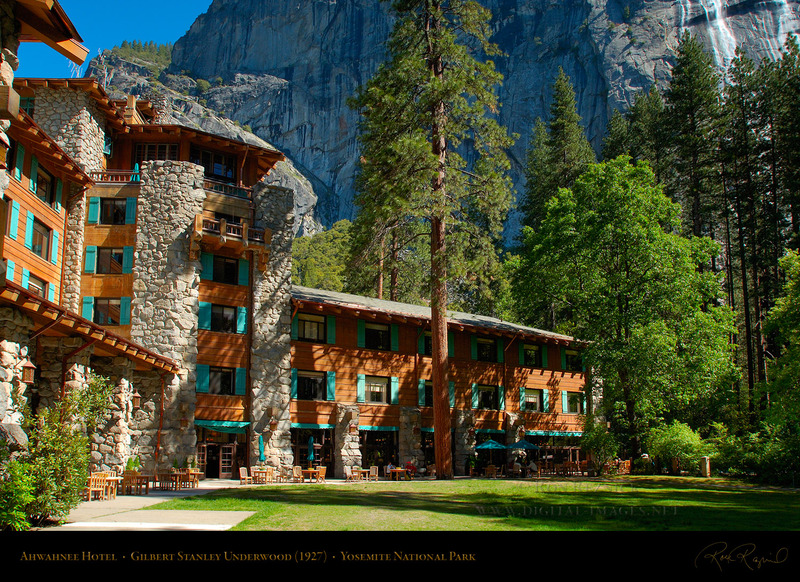 Maybe they will stay in the Ahwahnee Hotel in the Yosemite Valley. Have you ever been there? It’s a beautiful mountain lodge with a grand dining hall lit by candle (bulb) chandeliers hanging down from the exposed-truss ceiling. The romantic elegance of the hotel set against the rustic splendor of the mountain views, makes you feel like you are stepping back in time. The men are wearing suits, the women are dressed for the evening, and you expect Teddy Roosevelt and his entourage to walk in at any moment. I’ve been going there all my life–first, with my parents and siblings, and now, with my husband and children–and it is one of my favorite travel spots. 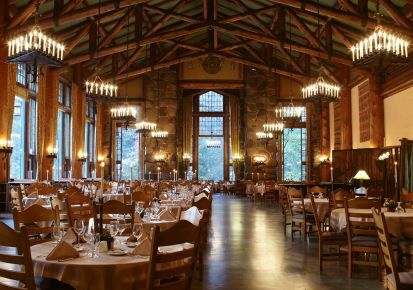 If you ever visit Yosemite, be sure to reserve at least one dinner at the Ahwahnee. My husband claims they have the best French onion soup he’s ever had…anywhere. It is a bit pricey, but call ahead to make a reservation, and find out if they have updated dress codes (I don’t think they require men to wear ties anymore). If you can’t make dinner (or don’t want to dress up for the evening) make a reservation for brunch–their pancakes…OMG! Depending on the time of year, there’s always the Mountain Room or buffet at the Yosemite Lodge (also in the valley), or in Curry Village, there’s the buffet or fabulous “cardboard” pizza out on the deck where you can sit and watch the squirrels putting on a show. Ah, but I’m giving too much away. Back to the review…please stop by the Christina Harding Erotica blog to read the full review, an excerpt from the book, and my interview. In the comments, tell me about your favorite travel spots. And please, show an author a little love and post your reviews on Amazon and Goodreads.